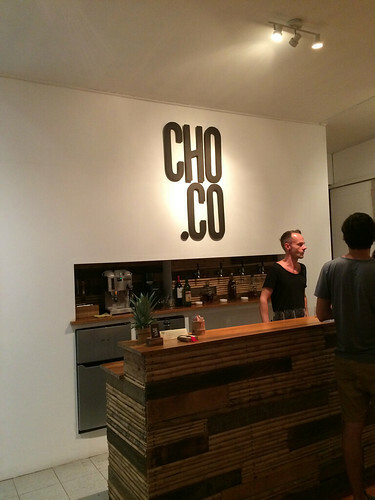 Did you know there’s a region in Costa Rica that grows chocolate? We just found out about it on a recent trip to Puerto Viejo. 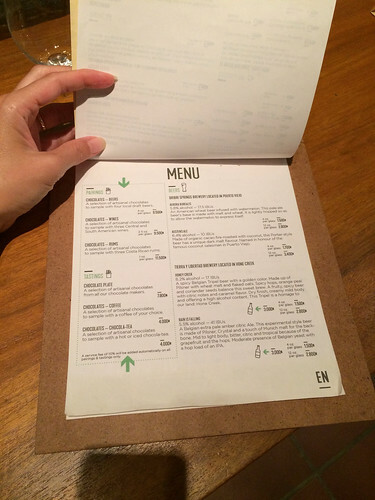 We were pleasantly surprised to find a chocolate and wine pairing at Cho.co. The store was set up with all different chocolates and bars decorating the walls. I think there might have been ten different chocolate producers sold in the store. We visited on a Friday night and boy was it packed. People were excited to try their chocolate tastings, beer, coffee and wine pairings. Luckily, there was still some space at the bar so we found a spot there and began our tasting! 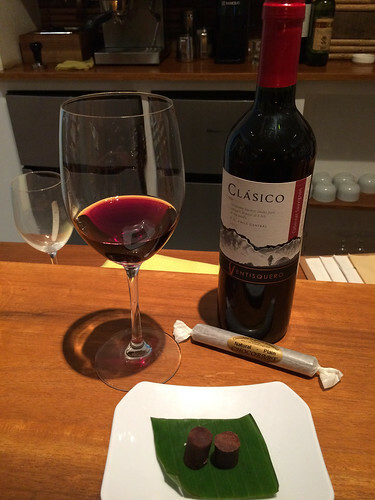 The tasting included three Latin American wines with three chocolates. 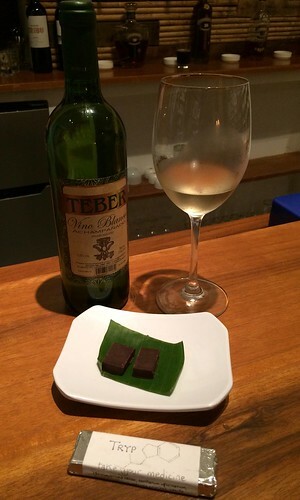 We’ve tasted this first wine before but never with chocolate. The Malbec had dark fruit aromas with a dry and slightly tannic flavor. The chocolate was dry, smooth and also had a lingering finish that was tannic. This is interesting, I wonder if putting these two tannic items together will pair well? Neil thought so, he said, “Wow, the chocolate makes the wine much more drinkable!” He also picked up giant flavors of cordial cherries. The chocolate definitely made the wine much fruitier! So there you go, Neil and I are much more likely to drink a tannic Malbec if you give us some dark chocolate! The wine actually seemed a bit lighter with a cherry flavor after the chocolate. I agree that it was a good pairing. Although we’ve had Chilean Cabernet Sauvignon’s before, we’ve never had this specific brand. The wine had earth and dark fruit aromas with flavors that were softer and fruitier than the first wine and an earthy finish. 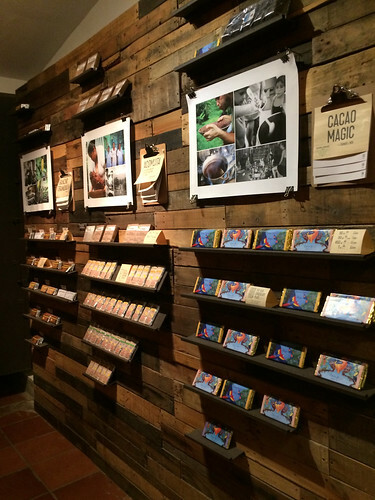 This handmade chocolate was made just down the road in Playa Chiquita by indigenous people. Since I’ve not seen many chocolates made without machines, I could only compare it to looking like a big tootsie roll. I found the chocolate to smell sweet, with a gritty texture (nothing like a tootsie roll here), and a sweet and fruity flavor. Neil was reminded of the time we went to a cacao producer in Ecuador when he sampled this chocolate. As we paired the Cabernet Sauvignon with the Chocorart the wine changed from dark fruit to red fruit flavors. Neil thought the vanilla and toasted flavors came out more from the chocolate but that the wine became more dry. Neil preferred this chocolate over the first one. Our final wine is grown in Alajuela, Costa Rica, outside of the capital. When I tasted the wine, there was a slight bubbly texture, it smelled like sugar and tasted like sweet kids toothpaste. Neil was a little more civil, describing the aromas as niagara grapes and the flavor as sweet grapes. Unfortunately neither of us liked the wine. 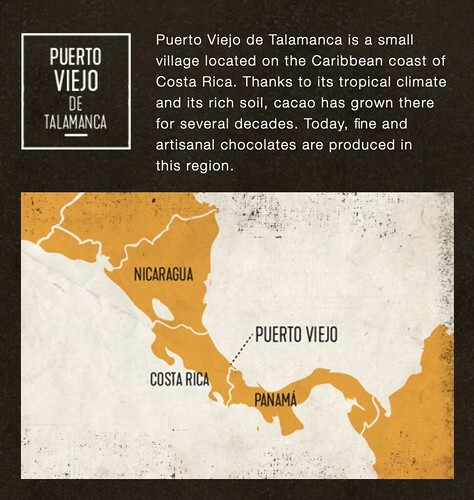 The Tryp chocolate was made near another local beach, Playa Negra. I realize it’s kind of a strange description but this final chocolate smelled more like chocolate to me than the others. Neil thought it had an earthy flavor and both a smooth and gritty texture. When we paired the wine and chocolate, I still didn’t like the flavor of the wine and the chocolate became a little smokier. As Neil tasted them together, he said they did play off each other a bit. 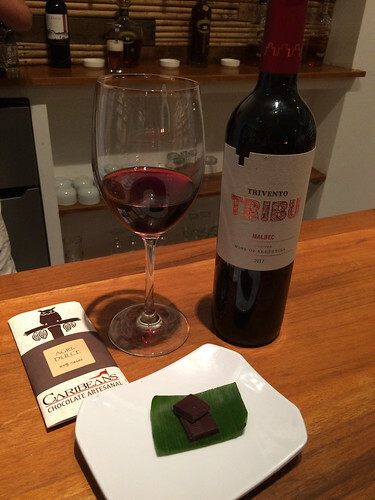 I’ve found that pairing chocolate and wine together can be a little tricky with the strong dry flavors of many wines and the level of sweetness in other chocolates. Although we didn’t enjoy all of the pairings, how can you go wrong trying local handmade chocolates on a Friday night? Huge thanks to Nelson and his partner for opening a cool wine experience in Puerto Viejo, maybe we can try the coffee and chocolate pairing next time!